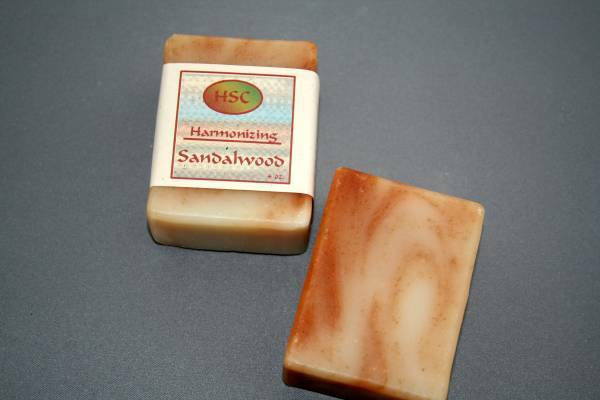 Sandalwood's warm, sweet earthy fragrance is considered an aphrodisiac and is unisex, making it perfect for men or women. It's been poured over paprika colored soap chunks and superfatted with cocoa butter. 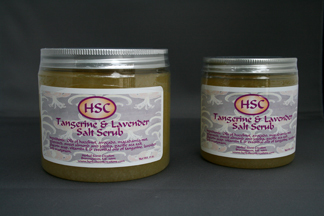 Distilled Water, Organic Olive Oil, Coconut Oil, Organic Sustainably Harvested Palm Oil, Palm Kernal Oil, Castor Oil, Soy Oil, Sodium Hydroxide (Lye), Fragrance, Organic Cocoa Butter, Paprika, Rosemary Olefin Extract and Vitamin E.